Day 289. A few of my favorite things. 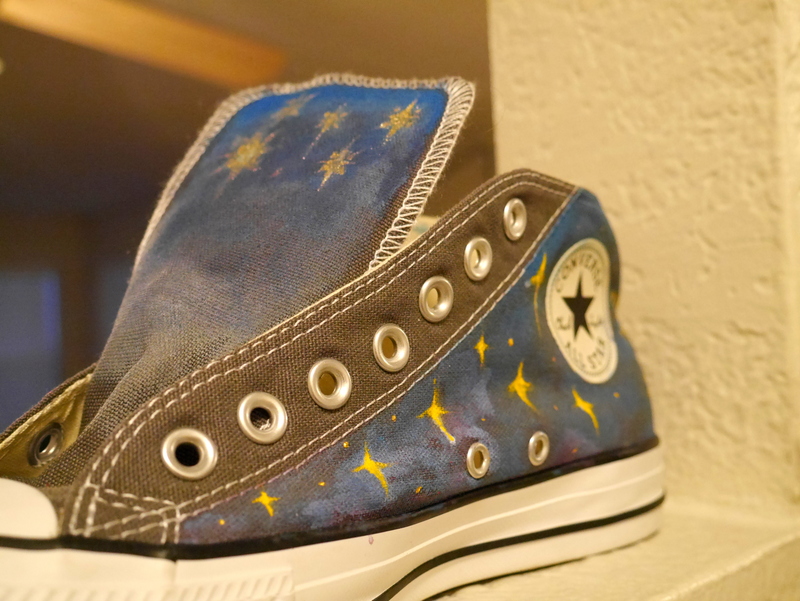 April 30, 2014 Categories A few of my favorite things, Geekdom, Post a Day 2013/2014a few of my favorite things, art, artwork, converse, post a day, shoes, Sidney2 Comments on Day 289. A few of my favorite things. 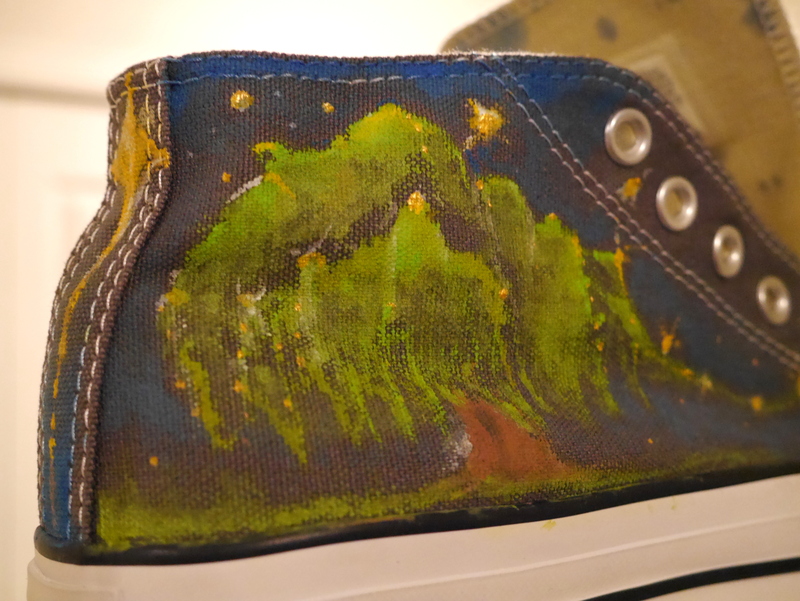 Painted converse shoe: While visiting Sidney, she gifted me the converse shoe I had sent her some time ago! I had been so excited to see it and I was not disappointed. She did such a wonderful job, I love it! Look how awesome the tree is. I think it represents me pretty well. 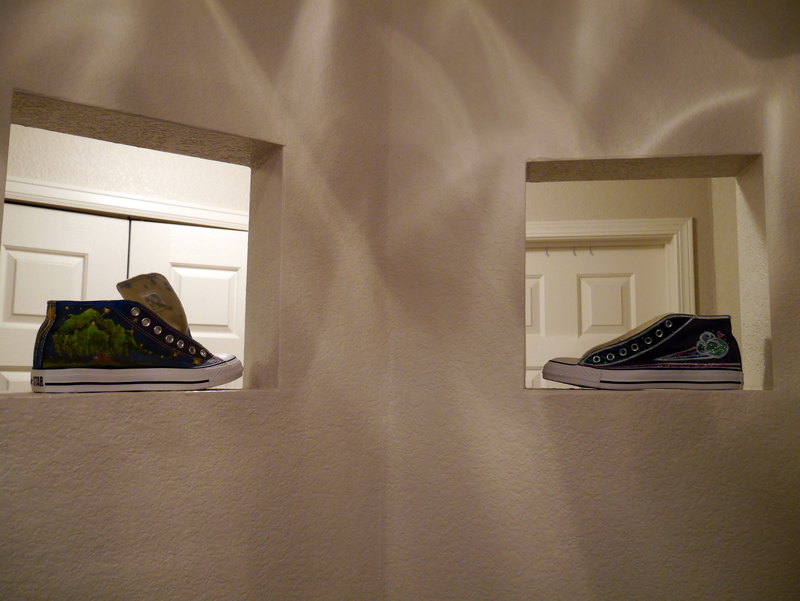 I now have it sitting in the other little cubby hole in my apartment so the two shoes are now together! I’ll definitely wear them one day, I just want to wear them in a place that’s clean so I won’t ruin either one. It’s awesome having artistic friends! I think maybe they’re rubbing off on me a bit too. Korean socks: I only call them “Korean socks” because I got them in South Korea. And they were made there too. Anyways…socks were only $1 there and they were everywhere we went. I mean, socks at almost every store, especially in the popular shopping areas. I am NOT exaggerating, Sidney will confirm it. 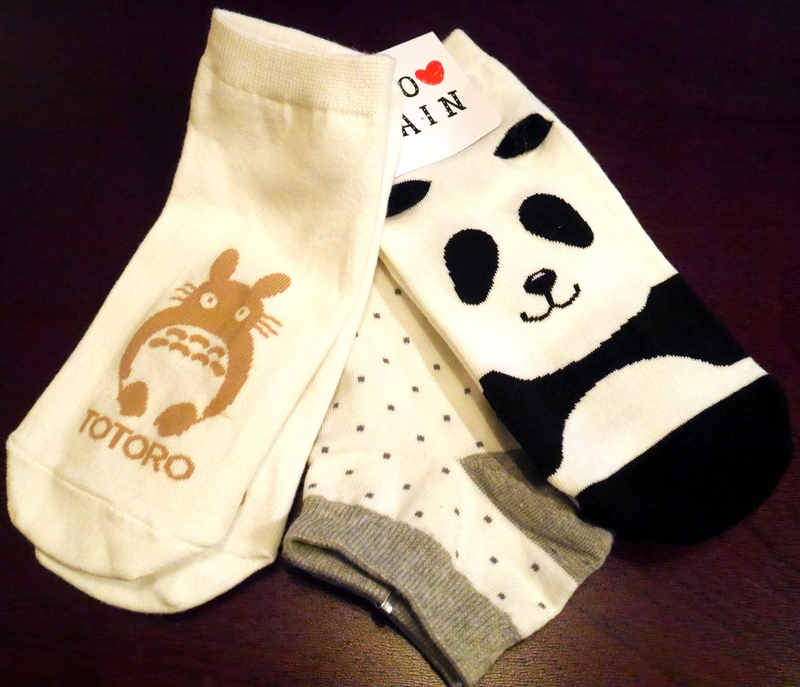 So I bought a few pairs of really cute socks. I would have liked to have bought more, now that I think about it, but it’s probably good I didn’t buy 20 pairs of socks. So, I’ll be happy with the ones I have! There were so many socks, most of them adorable. If I ever go back to South Korea I’ll be sure to buy some more but for now I’ll just wear these all the time. That would be pretty cool. I’m afraid I don’t have the room or the money to do that now, but perhaps one day!